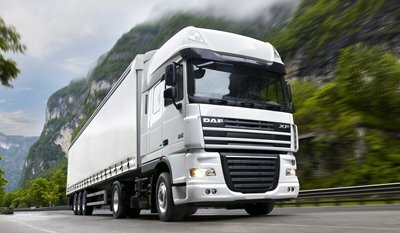 You are a logistics company or self-employed or freight forwrder and you have a truck or van and you want to look for work in the transport world.This is your place to find loads for your vehicle to transport.Take profit of the route of your truck if it is not loaded full charge.Publish free here your transport vehicle available,the route you are doing,type of vehicle with the load you can transport and we will make it visible to others who have for you load Time is important for everyone.Do not wait any longer, make yourself visible with your truck or vehicle available so that others can pass loads of them.All kinds of vehicles ready to be able to transport any type of merchandise,packages,animals,cars,agriculture,construction can publish your vehicle for free with the available cargo capacity and the route in which it transits.If you have a truck with free space to transport do not hesitate to publish it.There are many entrepreneurs,individuals,factories that are looking for a vehicle ready to transport their cargos.If you have routes with the ones that are 100% it is the desire of any transporters Take the truck to the maximum load on the one-way route also on the return route.Many trucks on the return load route travel empty and it is a waste of money and time for the carrier or the employer.So that this does not happen transporters and businessmen are looking for and announcing their trucks available in the transport marketplace online.Advertise now the truck or free space available in our transport portal is very easy and fast.Until you are registered put your country route city and destination country city the desired price,contact information,brief description,date of the offer and send the available transport offer. Publish your truck or free space available for transport. Sign up for free on our website and create a free transporter account.Take advantage of our transport bag and announce the availability of your vehicle for transport and it will be seen by thousands of companies and individuals from all over Europe that want to send quickly on routes that you use.